After the G20 summit protests activist Robin stands trial on an assault case in Hamburg. How the police intends to construct and justify these accusations remains unclear. 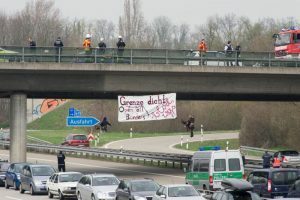 As part of the No Border Action Days (NBA) in Freiburg and Basel activist squatted in April 2016 the A5 interstate close to the German/Swiss border crossing Weil am Rhein. Dozens were arrested, the state reacted with penalty orders and lawsuits. 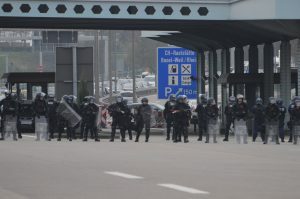 For info about the repression and the solidarity campaign nobordersolidarity check out their blog (mostly in German so far). Indymedia linksunten was banned by the ministry of the interior on 25th of July 2017. This ban was followed by massive repression including house raids, criminal proceedings, surveillance, etc. But this isn’t any ban of a website. It’s an attack on press freedom and massive censorship of left media. 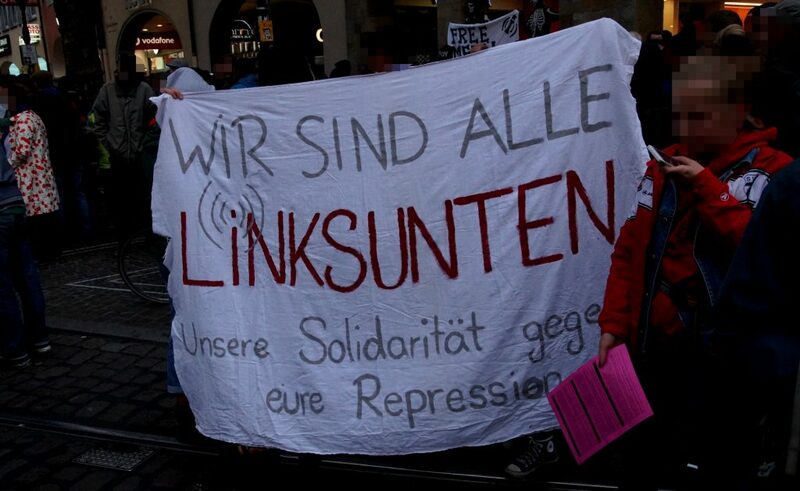 Linksunten was a central part of radical struggles. We should not leave such an attack unsanswered.